Eddie Green, star of the radio. 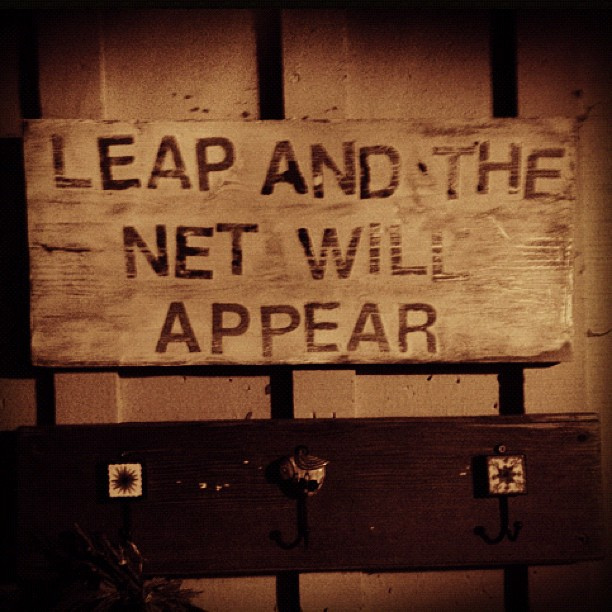 The above is a quote from the New York Age newspaper, August 7, 1937. In the Brooklyn Eagle, 1939 it says: Eddie “Is one of Harlem’s busiest citizens. Outside of theater and radio work, owns and operates two barbeque emporiums. Serves nothing but spareribs. Says Paul Whiteman is his best customer at the one on 7th Avenue. Eddie came from East Baltimore’s alley house area where he was born in 1891, and worked himself up to owning two restaurants in Harlem. I watched the funeral for B. B. King today and the Rev. Herron Wilson, said, in his eulogy, talking about life and death and conduct, “It’s not where you come from, it’s where you’re headed.” So far, Eddie is headed in a good direction. Eddie, at this time, was married to a lady by the name of Constance from Newark, New Jersey, happily married according to the newspaper. He hadn’t met my mother, yet. I decided to insert her into this post since they would meet soon, and because mom was pursuing her own career in the entertainment field at about this same time. This was the prelude to me learning who my mother’s biological father was. In fact, my mother was not 100% certain before she died and I have only verified who Amato was within the last few years. That he was indeed white, an Italian gentleman that her mother had been seeing on the side for years and that he was my mother’s father. Sinclaire eventually took the name Amato for herself and my mom. At ten years of age my mother wasn’t quite sure what had transpired, except that Murdock was gone and never wanted to see them again and Joe became a permanent fixture. And she had to change her last name from Murdock to Amato. when Professor William T. Wilkins. Wilkin’s Piano Academy presented his show. Anne Amato . . . . In 1937 Eddie was in the news in New York, and mom was beginning to be mentioned in the news in Los Angeles. Mom was 14. Eddie was 46. They would not meet for another three years. 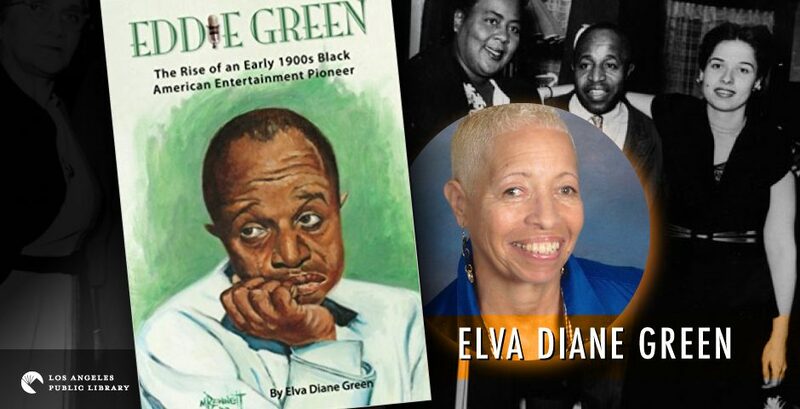 My mom was also in pursuit of a career on the stage as an opera singer and as she got older she began to sing and play the piano at weddings at a place called the Wilfandel Club in the Historic West Adams District, while in serious operatic study. And here we have an extra bit of Black History-because of course I had to look up the Wilfandel Club and I found that the architect was Mr. Paul R. Williams. 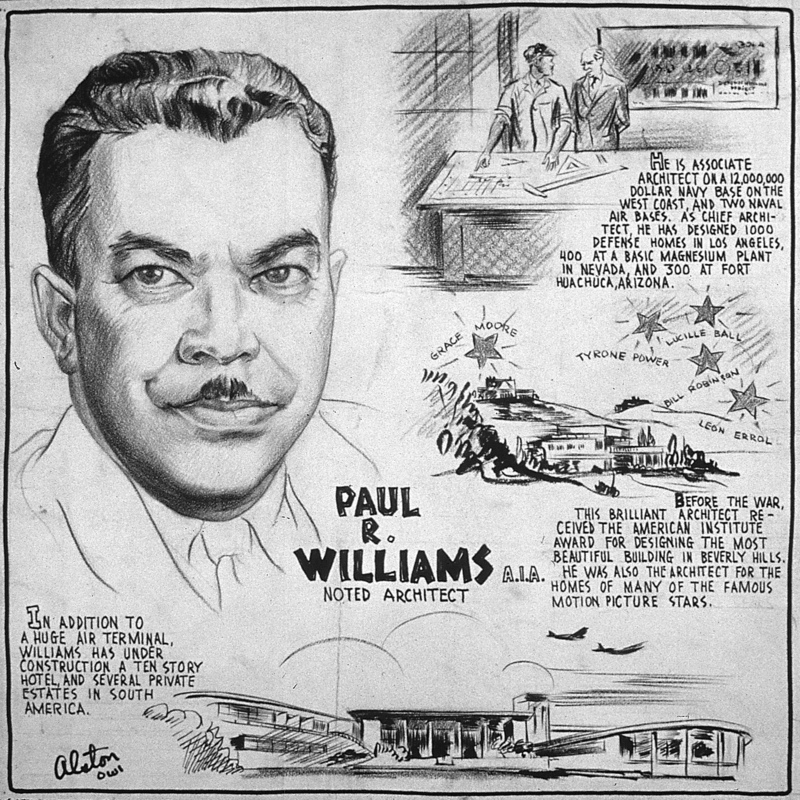 Paul Revere Williams, (February 18, 1894 – January 23, 1980) was an American architect based in Los Angeles, California. 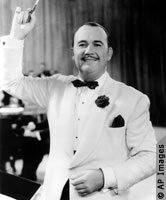 He practiced largely in Southern California, and designed the homes of numerous celebrities, including Lon Chaney, Bill “Bojangles” Robinson and Frank Sinatra. 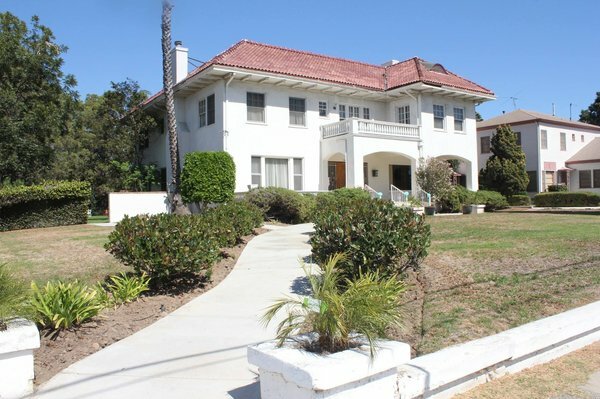 He also designed many public and private buildings, such as The Kenneth Hahn Hall of Administration and the Los Angeles County Courthouse and the First African Methodist Episcopalian (FAME) church in Los Angeles. Who knew? Mom did, she mentioned to me a few times how unfortunate it was that Paul Williams did not get the recognition he deserved for his works. Wilfandlel Club on Adams Blvd. At the 68th Anniversary celebration of the Los Angeles California Eagle , on April 3, 1947, Paul R. Williams was the main speaker and Eddie Green, of “Duffy’s Tavern”, was the emcee for a sparkling floor show featuring Mabel Fairbanks, ice-skating star, the Basin Street Boys, and Phil Moore, singer and composer. In 2010 when my mom died, she lived on Adams and St. Andrews Place, within walking distance from the Winfandel Club’s building, which still stands.